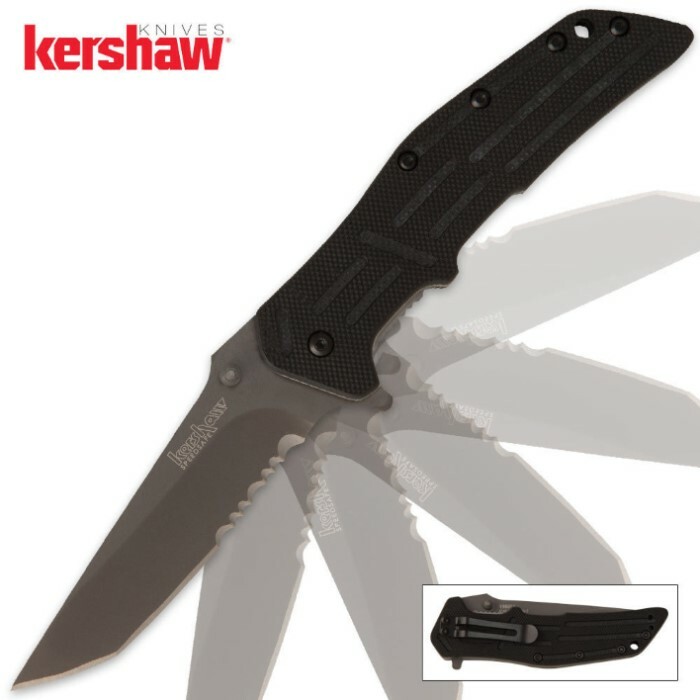 Kershaw RJII Assisted Opening Pocket Knife Serrated | BUDK.com - Knives & Swords At The Lowest Prices! It's like the RJ I, only smaller. The new RJ II is a slightly smaller version of the RJI. It has all the features of its bigger brother, including SpeedSafe assisted opening, but with a shorter blade length. It's more compact, just as cool.